Thank you for registering your details with us. One of our sales team will be in touch shortly. 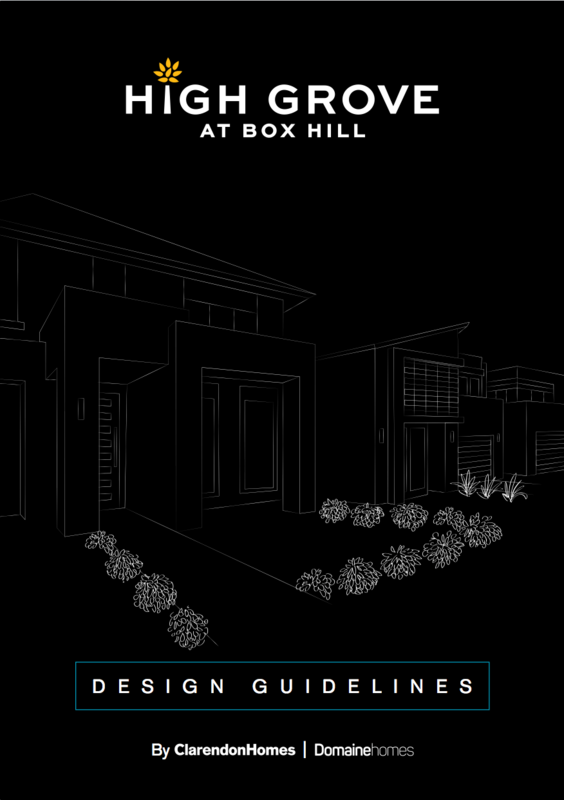 Find out more about Higher Living at High Grove, Box Hill right here. High Grove is located on George Street, Box Hill in Sydney’s Hills District. 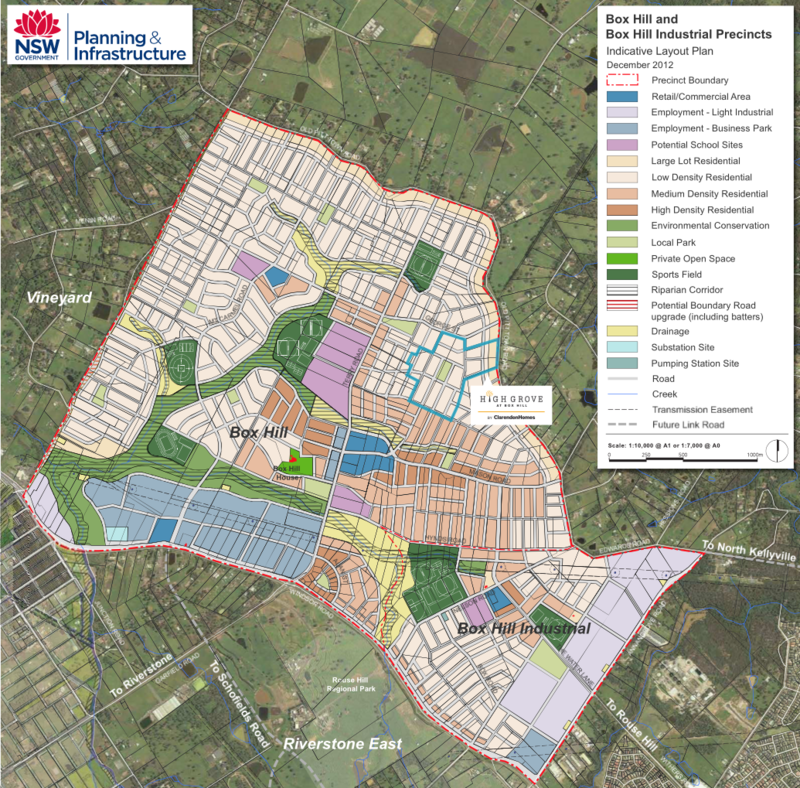 WHICH HOMES FROM THE CLARENDON RANGE CAN I CHOOSE FROM? We have pre-selected many of Clarendon’s best homes based on the individual attributes of each lot, using a holistic approach to the design of each streetscape. Not all of Clarendon’s homes will be made available at High Grove, but the generous selection of homes available will ensure there is a home to suit your specific needs. WHAT ARE THE KEY TIMEFRAMES? Talk to our friendly sales team or register on our database for the latest news on progress at High Grove. HOW DO I PURCHASE A PACKAGE AT HIGH GROVE? 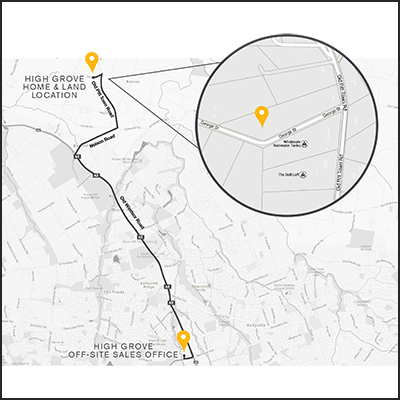 To get an exclusive opportunity to purchase at High Grove, register your interest. Visit our High Grove Sales Suite or register on our database to receive information on latest releases. 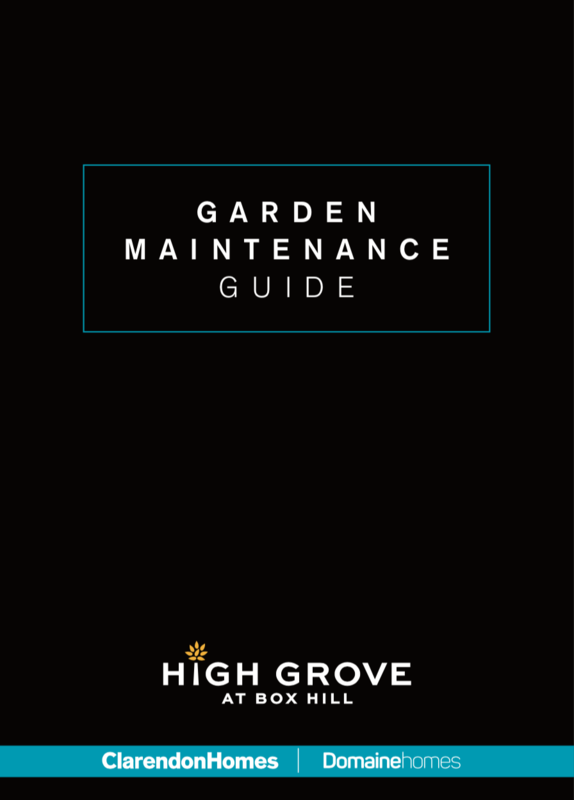 Clients on our High Grove database will be advised of release dates and the purchase process prior to the packages being released. You’ll be invited to make an appointment with one of our sales consultants to complete your selection of a package. Make sure at that time you have the full details of your solicitor and you’re ready to move forward with your purchase. You’ll be required to pay an initial $2,000 Plan Preparation Fee to secure your home at High Grove. The Contract of Sale for the land will be issued directly to your Solicitor or Conveyancer. You’ll have 10 working days to exchange on the land, at which time you’ll be required to pay 10% of the land value as a deposit. You’ll be required to enter into a separate Building Contract for your home, either before or within 14 days of exchanging the Contract for Sale for your land. On signing the Building Contract, you’ll be required to pay $3000, which will complete your deposit towards your new home. HOW MANY PACKAGES WILL BE AVAILABLE IN HIGH GROVE? On completion, High Grove will include up to 300 new homes. Land sizes range from 300m2 to 650m2. WHERE CAN I FIND MORE INFORMATION ON HIGH GROVE? IS NBN CO PROVIDING OPTIC FIBRE? An agreement has been entered into with NBN Co for future connection by purchasers, but please note that provision and timing of the service is at the discretion of NBN Co and purchasers are required to make their own applications in the future. WHAT IS INCLUDED IN THE HOUSE AND LAND PACKAGE? Each home at High Grove has been packaged with Clarendon’s Evolution specification of inclusions with floor coverings, ducted air conditioning, blinds, a concrete driveway, turf, fencing and much more. For a limited time, we’re discounting a selection of Home & Land Packages during our High Grove Summer Sale. Limited lots, limited time, big savings!